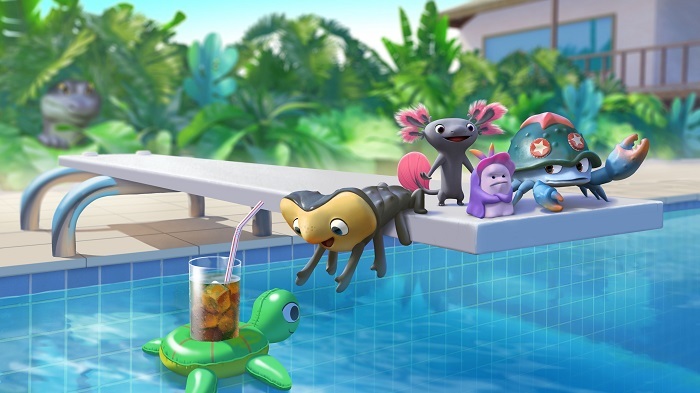 APC Kids, the children’s entertainment division of co-production and distribution company About Premium Content (APC), is ramping up its production activity through its recently launched studio Zephyr Animation with new comedy-adventure show Gone Gills. The series is an original created by Ferly, the entertainment company founded by former Rovio executives and co-creators of Angry Birds. The show will be co-produced by Canadian Yellow Animation. Gone Gills is a 3D CGI series, which follows three prehistoric creatures as they find themselves stranded in the strangest place in the history of the world – the present! The development will see Ferly VP creative Joonas Rissanen and CEO Laura Nevanlinna as well as Yellow Animation president Ulla Junell team up with Zephyr Animation’s chief creative officer David Sauerwein and APC Kids managing director Lionel Marty. APC Kids holds global audio-visual distribution rights to the new series, while Ferly manages global CP and gaming rights. Stuck in a tourist-trap beach resort, Lizzy, Trilo and Mo need to catch up with 200 million years of evolution. Being chased by rampaging plesiosaurs on a daily basis is now a thing of the past! Although life seems easier and they might even make a few friends, there ARE still a few – diminished – predators in present times, and a certain flamingo in particular who’s determined to prove there’s more than one way to skin a squishy little amphibian, or whatever those things are. Of course, he’ll have his work cut out for him capturing the most elusive quarry the world has ever seen in a couple hundred million years! “Creating the world of Gone Gills has already been an unforgettable experience for us. We cannot wait to collaborate with David, Lionel and their teams and help our prehistoric creatures get used to the present day!” Rissanen added. APC Kids’ Zephyr Animation launched in September 2018 to develop its own projects as well as co-developing and co-producing properties with partners from around the world. With an emphasis on strong international sales potential, Zephyr shows will cover all children’s demographics from preschool shows to kids aged six to nine and produce programming across all genres from action-adventure to comedy. The first project out of the stable to be announced was Adoonga, an animated comedy series from South Korean studio Vooz (creators of PUCCA).